Thanks for your interest in the history behind Svante’s. 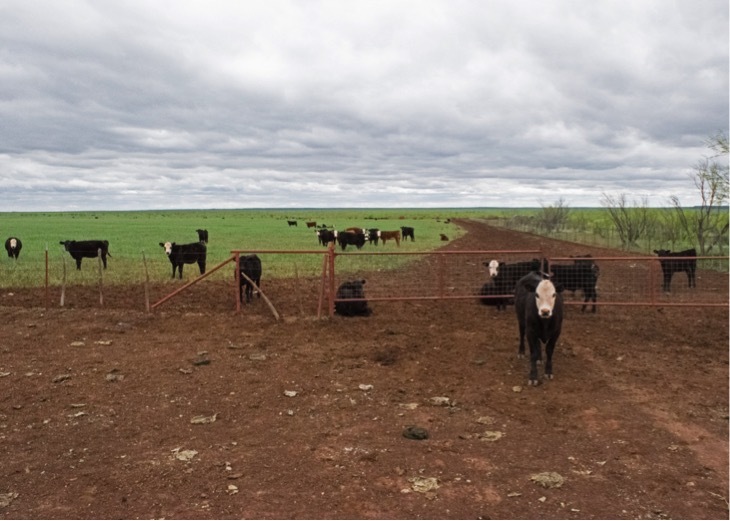 Our family has been raising cattle on the West Texas prairies for over 130 years. 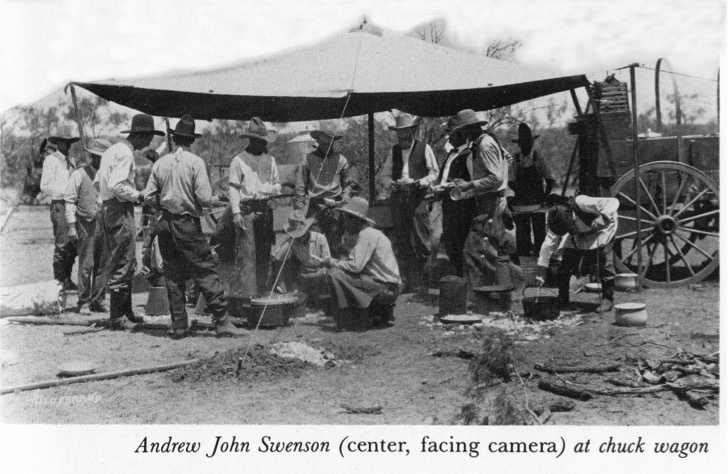 In 1882, Eric and Swen Albin Swenson founded the SMS ranches. But, it was their father, Svante Magnus Swenson, our great great grandfather, who was the pioneer and in the 1850’s acquired the land that we continue to ranch today. Svante Magnus Swenson was born in 1816 in Jonkoping, Sweden. One of five children, Svante was sent away at the age of 13 to live as foster child with a family in Almeshult in order to reduce the financial pressure on his struggling farming family. It was in Almeshult he had his start in the mercantile business, as a clerk in a shop. There are many stories passed down over generations about why Svante left Sweden. Some say he left because his employer hit him. Others say he left as a rejected lover. What we do know is that he left on February 13, 1836 on the Rhine, a week before his 20th birthday, 10 days before the battle at the Alamo, to pursue his dreams in America. After a four month trip, he arrived in New York City whose population was about 250,000 and growing rapidly with the influx of immigrants like Svante. Soon after arriving, the Rhine caught on fire and Svante was left with nothing but the clothes on his back. Showing early signs of his ingenuity and hard work, Svante landed a job as a clerk in New York, earning $15 per month. In the midst of the Panic of 1837 which caused many bank failures in NY and record unemployment, Svante moved to Baltimore to work as a bookkeeper for the Baltimore and Ohio Railroad. In 1838, the railroad sent him to the newly found Republic of Texas to investigate the opportunities in this new country. Arriving in Columbia, the first capital of Texas, Svante was the first Swedish immigrant to land in Texas. Building on his mercantile experience in Sweden and NY, Svante went into business with John Adrianne and came up with the idea of delivering goods directly to the growing number of settlers living in the Republic. This is a tradition we are continuing today. It was at this time Svante first met Sam Houston by selling him tobacco and other goods, which started a friendship that would last a lifetime. 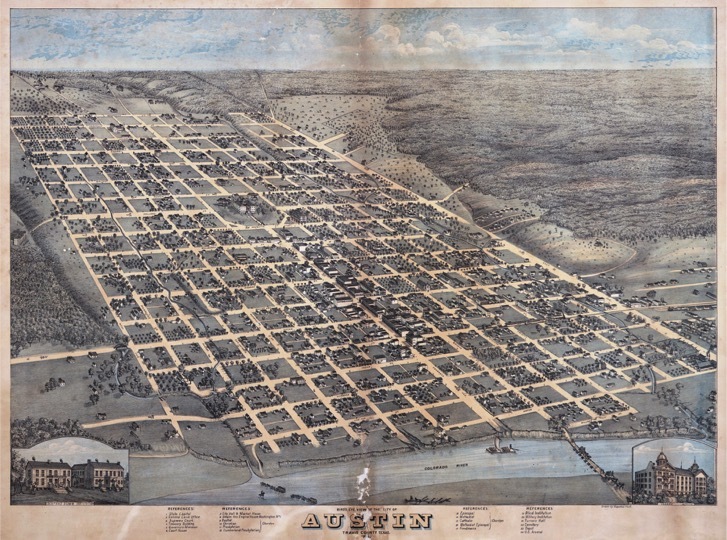 In 1850, Svante moved to Austin, the newly named capital, and built a successful mercantile business on Congress Street. However, much of his focus was on acquiring land as he believed land was going to be the engine of growth in Texas. Initially he acquired land by trading for script from ex- soldiers and other customers who had claims against the Republic which gave them right to land. 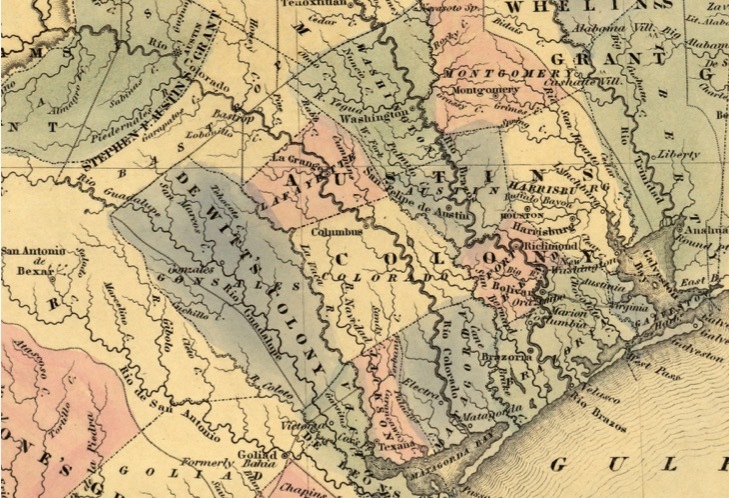 Before the Civil War, Svante owned 128,000 acres of land in Travis County alone. By the late 1800’s he became one of the largest landowners in Texas, owning over 600,000 acres. To help develop the land and develop a Swedish community in Texas, Svante supported hundreds of Swedes whose transport he paid for in exchange for a year’s labor. This became known as the “Swedish Pipeline”, and lead to the development of many of the Swedish communities east of Austin. One of the original cabins from this period, which was constructed on Svante’s estate called Govalle, is in Zilker Botanical Gardens in Austin. One of the first immigrants to follow Svante to Texas was his uncle Svante Palm who arrived in Texas at Christmas, 1844. For the next 50 years, Svante and Svante were business partners and Svante Palm became very active in the Austin community. He was the postmaster of Austin, was elected to the school board and City Council on multiple occasions, and was Austin’s first official meteorologist, and one of the founders of the Lutheran congregation in Austin. In 1866, he was named the first honorary vice consul for Sweden and Norway. But he is best known for his incomparable library which grew to 12,000 volumes, which was housed initially in his home on Congress Ave, and was given to the University of Texas in 1897 which at that point was 15 years old, more than doubling its collection. 2000 religious volumes were also given to the Gethsemane Lutheran Church which he helped found. As recognition for Svante Palm’s contributions to the Austin community, an elementary school, Svante Palm Elementary or the Palm center was dedicated in 1902, three years after his death, and there is a memorial plaque where his house once stood. During the Civil War, Svante—like Sam Houston—did not support slavery or secession and feared for his life as well as his family’s. After multiple threats, he fled Texas in 1863 hidden under straw in a covered wagon, without his wife and four children, having buried $40,000—about $1 million today—in gold in the basement of his house on the Colorado River. He made it to Mexico where he stayed for a year, eventually moving to New Orleans where he reunited with his family after the War ended and then permanently to New York City. Although he never returned to live in Texas, he kept his ties to Texas, visiting occasionally and acting as a cotton agent. He died in 1896 and is buried at Woodlawn Cemetery in the Bronx. His sons, Eric and Swen, organized the land holdings into ranching operations in 1882 and headquartered their company in Stamford, Texas. 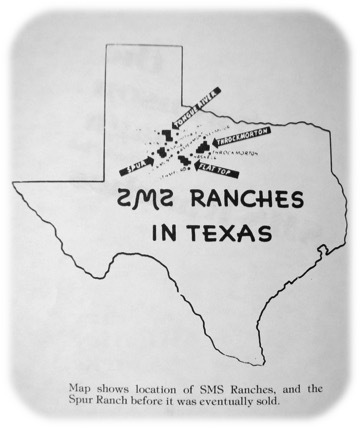 The Swenson Ranch’s brand, SMS with two backward S’s, became one of the most famous in Texas. 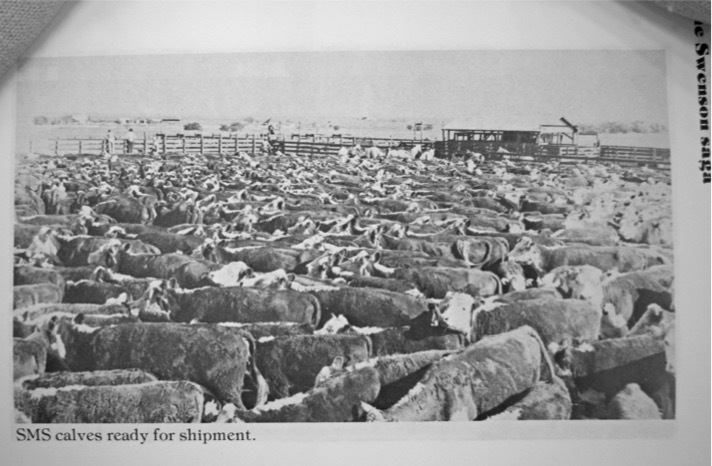 The ranch has been known over the years for its quality of cattle and horses and for its many innovations. All the meat we provide—to your home or on our food truck—comes directly from one of the remaining Swenson ranches owned by the direct descendants of Svante. We appreciate your interest and your business. Please let us know if you have suggestions about how we can improve your experience.